Signed to Centricity Music in 2015, Jordan Feliz has had a gigantic rise to fame. Partly due to the smash hit “The River” (and you might have thought that he was a one-hit wonder) however but as the years roll on, it’s evident to see that his music exudes a sense of honesty, authenticity and vulnerability that we probably haven’t heard and seen from many more artists recently. I guess that’s one of the reasons why Jordan’s sophomore album Future just released, when it could have been released late last year. Listeners have still been responding and still loving his debut album The River and are still being blessed by his songs such as “Never Too Far Gone”, “Beloved” and “Satisfied” to name a few. Though the very unnecessary release 1 Mic 1 Take released last year, just this past week, fans were treated to Jordan’s well thought out, highly professional, and greatly inspiring second solo album. Future contains 13 tracks of extremely contagious pop music (probably not in the mould of CCM artists like MercyMe, Big Daddy Weave or Sidewalk Prophets, but rather in the vein of mainstream counterparts Katy Perry, One Direction, Justin Bieber, Selena Gomez, Sam Smith or Ed Sheeran), and each melody is of very high calibre. Like ‘mainstream artist type of quality’. Though there really shouldn’t be a divide between markets, reality is that there is, and that’s sad. But Jordan has shown us through Future that high calibre songs can be recorded. And when they do, I reckon we should let God just do whatever it is He wants to do with these songs. While this album may be a bit too pop for my liking at the moment, it may grow on me, and perhaps this means that in the future, Jordan’s music may be discovered by listeners of these aforementioned ‘mainstream’ artists, or maybe even by these artists themselves! Opening the project is “Witness”, the lead single and a groovy, jazz/gospel/pop 3 minute melody, where Jordan eloquently exclaims that Jesus is changing him from the inside out, a testimony like song, asking the listeners ‘…can I get a witness?…’. Tongue in cheek at times, the result of “Witness” is an inspiring and encouraging melody, and one that is sure to propel him to even greater heights. While “The River” saw Jordan climb stratospheric heights that maybe the public and even him didn’t even think was possible, what “Witness” has done, is show us that there is no ‘sophomore slump’ so to speak. With plenty of drums, explosive guitars and pulsating beats, Jordan provides us with beautiful lyrics and a passionate heart for Jesus, as he eloquently recounts to us that ‘…Your love is like a fountain, it’ll never run dry, it’ll never run dry, Your love is moving mountains, every day of my life, every day of my life…’. As Jordan relays to us that Jesus’ love is never ending, and wants everyone to know this fact (thematically similar to “Amen” from Matthew West! ), Jordan should be proud of the new melody and also be congratulated. “Witness” is a strong powerhouse anthem, setting the stone for the rest of the album! “Faith”, “Count That High” and “Changed” all released prior to album release date, and each, as a promotional single, are hopeful, encouraging, catchy and also relevant to today’s current society. Released in December last year, “Faith” is a mid-tempo guitar led soaring epic feel-good anthem, reminding us all that faith in Jesus even when we don’t feel it, is required to get us through this life, that ‘…it’s light for the shadows, for all your tomorrows, it’s knowing He’s there through the sun and the rain, it’s when you believe it, before you can see it, and you can walk on ’cause He’s making a way…’, while the hand clapping, head banging, groovy danceable pop tune “Changed” delves deep into Jordan’s testimony, that He has been changed because of what Jesus has done in his life, therefore there is reason to shout for joy and celebrate. The passion here is evident, as well as the sense that Jordan wants everyone to hear that ‘…there’s no end to the love I’ve found, future’s bright and there ain’t no doubt, I’ve been changed…’. “Count That High” is the last single to be released prior to the release date of Future, and resonates with me the most of the 3, with Jordan earnestly and emotionally relaying to us that God is a God of blessings, and for him to count every blessing that Jesus has provided to him and his family, he’d still be counting, as ‘…I could never count that high…’. While this song may be extreme in that we can’t count all of our immense blessings (because we could if we really put our minds to it! ), we are presented with a song that instructs us to be grateful at all times because of all Christ has done, and a fitting song to be recorded on Future, as it reminds us that even in an uncertain future and a volatile political climate, we can count our blessings and be thankful for the work our God is doing at the moment. The rest of the album follows, with each of the 9 tracks being captivating, very pop, yet refreshing on the whole as well. “Streets Of Gold” is a pop number driven heavily by a pulsating bass line, as this unique melody reassures us that one day we will be walking on streets of gold (aka, living in heaven), and thus we can live life to the fullest, and have something to look forward to when navigating this tricky road called life; while heartfelt and anthemic guitar and keys led ballad “Lay It Down” instructs us to lay our burdens down to the cross, at Jesus’ feet, so that we can let Him sort out all of our issues for us. The decidedly very pop and very danceable guitar led title track, inspire by Jeremiah 29:11, relays to us that Jesus has given us a stable and steady future, therefore we shouldn’t ‘…live in worry [or] live in fear, when I know You’re holding, the future, the future…’, and the impressively written guitar led 3 minute melody “All Along” is yet another testimony-like melody, as we hear Jordan sing about all the instances in his life where he saw God moving, and how he know that God was with him all along. Encouraging and confronting in the sense that we can examine our own lives, and see how we are living them, “All Along” is sure to strike a chord with someone, as we remember and look back on God’s promises and his faithfulness. While all of these are pop songs, and most are engaging, thought-provoking, inspiring and almost every other positive adjective one could think about, that doesn’t mean that this album is blemish free. In fact, Jordan has recorded a few songs that musically are ‘blah’ as well as lyrically uninteresting- which I guess is to be expected when it’s essentially a whole album of pop. “Pages” may be catchy, however the concept of ‘everything I need can be found in Jesus, in the pages of the Bible’ has been recorded before, such as songs like “Everything I Need” from Kutless, and “You Are Everything” from Matthew West (both of them much more engaging and emotive! ), as Jordan’s song here is thematically old, and sounds lyrically safe. While “180” from Jordan sounds like musically a mish-mash of I Am They’s “Scars” (verses) and Big Daddy Weave’s “Jesus I Believe” (chorus) (who copied who? ), and while Jordan explores a relevant song topic in worthiness, and how Jesus, in the example of the prodigal son, reminds us that He always welcomes us back into His arms, no matter how far we think we’ve gone; nothing really can redeem this song, which feels like there’s something lacking. Both “Pages” and “180” are indeed professionally recorded, yet do not connect with me for some reason. Maybe in the near future, I’ll change my mind? The last few songs on the album has Jordan recapturing more of the epic, anthemic, explosive and engaging pop that I have heard at the start of the album. “That’s The Life” explores Jordan’s vocal range, and his falsetto and attempt at singing in a soprano way is very commendable. As Jordan earnestly recounts how being a child of God and living for Him is the only life He wants to lead, that ‘…I know my future holds everyday miracles, so bring it on, and Father, You promised me all of eternity, oh, I’m coming home…’, we are presented with a clear-cut declaration that Jordan is forever all in and immersed in the life that Jesus wants for him. Penultimate melody “My Shelter” encompasses quite a lot of Nintendo and Gameboy effects, as this piano 80’s and 90’s throwback Caribbean style melody brings back a lot of nostalgia of myself playing Banjo Kazooie and Donkey Kong, as Jordan reiterates that he will be forever running to Jesus because Jesus is his shelter. Yet I reckon Jordan has saved the best to last, with “Blank Canvas”, in my opinion, the most deserving song to be radio single #2. Standing short at 3 minutes 13 seconds, we are reminded that our past does not define our future, and that everyday is a brand-new start, a blank canvas so to speak, and a chance to start over if we do not like our life. Essentially this song is I reckon the heartbeat of the record Future– as Jordan keeps singing about the future constantly in this album, the album ender provides us with the reassurance and the knowledge that who you have been before isn’t who you have to be now. What we do with your blank canvas called 24 hours in a day, given to us by God, is up to us, but I reckon we use it wisely. These are 24 hours that we are never going to get back ever again, and from that point of view, this track is very sobering, and should make us actively plan for the future, asking God what He wants for us to do, and how He reckons we should get there. The answers may not come straight away, but Jordan has given us a platform for us to question our life’s choices and be better people as a result. Surprising me very greatly (I originally didn’t think much of this album, due to the musical ‘sameness’, which I now know works in Jordan’s favour! 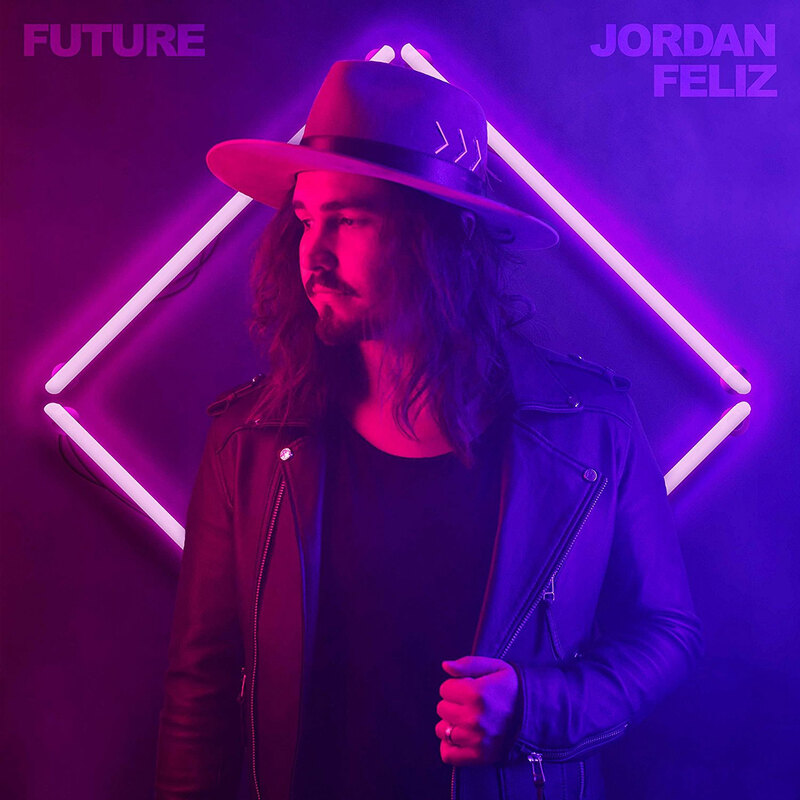 ), Jordan Feliz’s Future is an album that you can listen to from start to finish, and though one song may not stand out, the album as a whole is far more cohesive than an album full of standouts, like new albums from Andrew Peterson and Audrey Assad and Sara Groves (each of those albums, we’re reviewing soon, we promise!). Not sure if that makes sense though, but it may if you’re a fellow reviewer, or have listened to Future already. Though even if you don’t connect that much with “Witness”, or any of Future yet, and prefer “The River” or any other track from Jordan’s debut album, there’s no denying the passion of this inspiring young man of God. So what are you waiting for? Check out Future and let me know what you think.